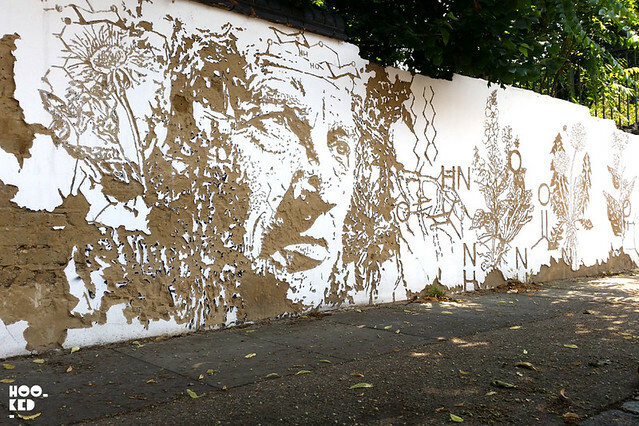 We shared an image of this Vhils piece on our Hookedblog Instagram account yesterday and have since had a lot of people asking for it's location, so we thought we would share some additional images and a little info about the piece, oh and of course the location for those of you wanting to see the piece in person. 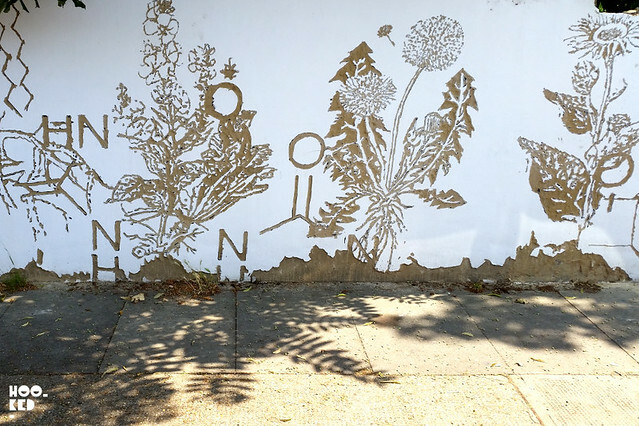 Tucked away down a side street just off Bethnal Green Road ( the station end) in the Bethnal Green Nature Reserve is Phytology*, a research base project launched by Nomad in association with Cape Farewell and the Teesdale & Hollybush TRA. 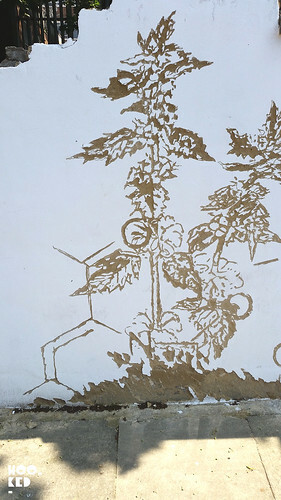 The term Phytology* is a rarely used 17th century word meaning botany and this action-research project is about bringing together artists and botanists to explore the ecology & medicinal properties of wild plants and weeds common to derelict and undeveloped urban sites. 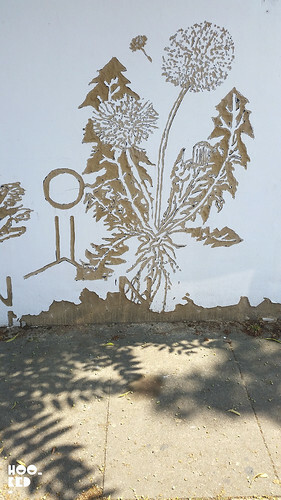 Situated within the north west corner of the Nature Reserve, this new medicinal plant field is being celebrated with a series of year-long artist commissions taking place in the Reserve and the Vhils piece pictured was one of these commissions. Phytology is open until the 14 September 2014, Friday and Saturday, 10:00am – 5:00pm, or at other times by appointment. Email info@phytology.org.uk Admission, free. 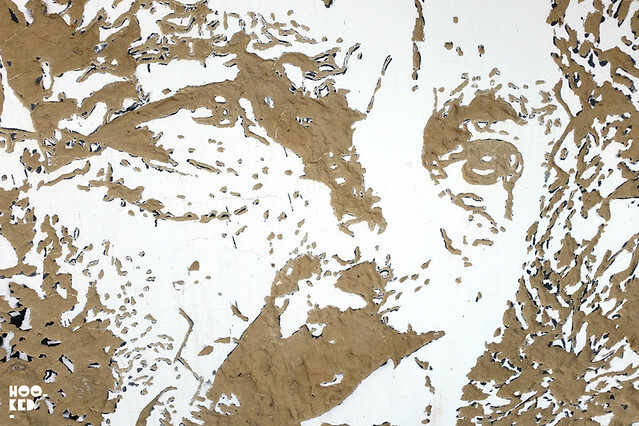 The Vhils piece is located on the exterior street wall and no appointment is needed to see it!